The Kings legend details Buddy Hield surpassing his franchise-mark for made threes. Some want to see their names at the top of the record books forever. 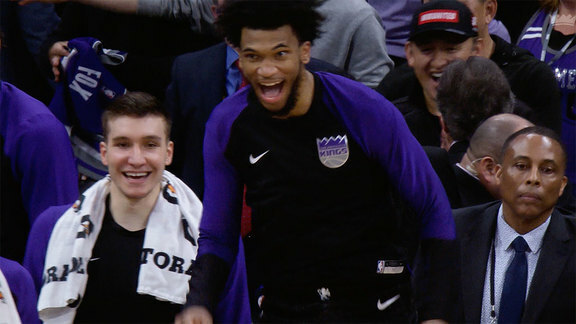 Others, like Kings Assistant General Manager Peja Stojakovic, couldn't be happier to see his franchise-best 240 made three-pointers mark broken. "He's going to have so many other records to break," No. 16 said on Saturday night. "You see how much work he's putting in," Peja continued. "It's absolutely amazing...this is another step for him." 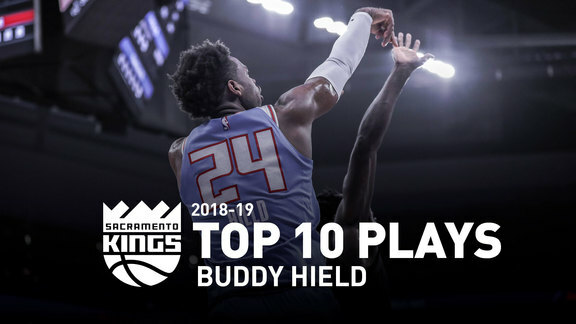 Buddy Hield was acquired in February of 2017, a polarizing move for Sacramento as well as the New Orleans Pelicans. Now, two years later, Stojakovic is excited to see not only how the team has progressed, but Hield as well. "We've followed Buddy since his college days," No. 8 explained. "We saw his progress [at Oklahoma]. His tournament was amazing. We figured out his game would translate way better at the NBA level." Not only has Peja been supportive of Hield since his arrival, but he's been instrumental to No. 24's development. "Peja has been a big part of my success this year," Buddy said after the team's 112-103 win over Phoenix. "Us talking back and forth. How to be an effective scorer...He left a mark on this franchise and it's something special." Now, the Freeport native has left his mark, too. Fox Weighs-in on Best Shooter Debate: Buddy or Peja?